Our high energy super magnet contains twice the magnetic force as our standard magnet. Due to the high concentration of stontium ferrite powder, this premium product is able to have much more magnetic pull than standard magnetic sheeting. High energy magnet might be the solution if standard magnet just doesn't get the job done. 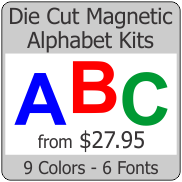 With it's strong magnetic properties of this magnet is still flexible and cuts easily just like our other magnet products. 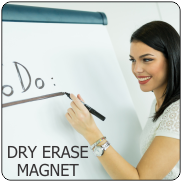 High Energy magnetic backing has twice the magnetic adhesion of our standard magnet. Peel n Stick ma..